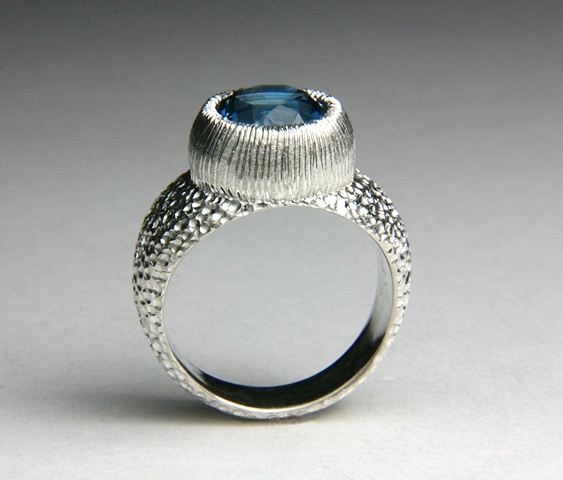 Chamberlain Ring made of De-ox Silver that does not tarnish like normal sterling silver set with a 10mm round, 3.25carat, Blue Topaz. Hand finished with tap and punches making the dimpling effect. Size: 7 3/4 contact me regarding sizing.